Sweet but psycho! Whether you love the song or whether it just perfectly describes you, this wall art sticker might just be the perfect one with which to decorate your home! 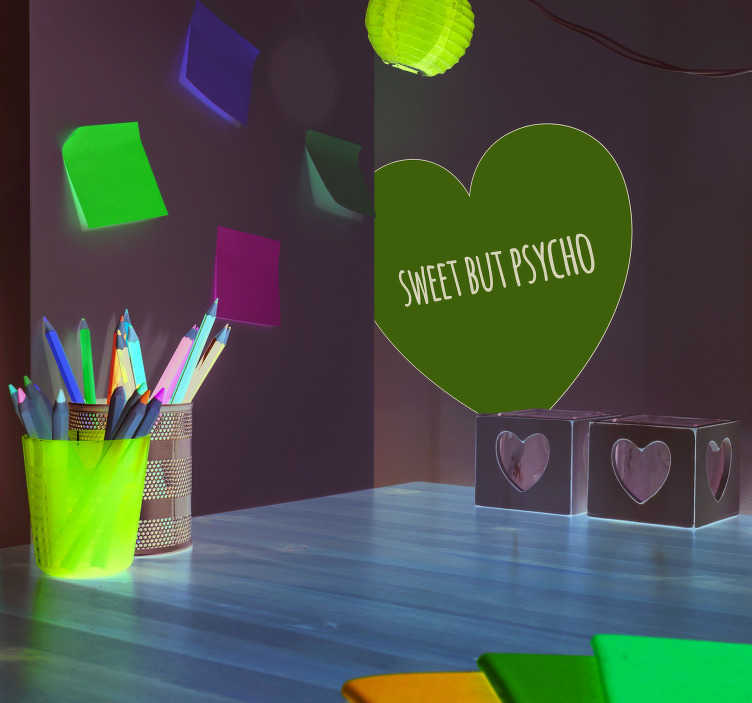 So, if you really are sweet but a psycho, maybe this heart sticker is something that will appeal to you!